While Liv aces the trivia, they interview Frank who tells them that yes, Wally owed him money but the man was selling his company and going to pay him back. Something he can’t do now he’s dead. He also knows Clive’s boss and drives him off – but as they leave Liv sees pictures on the wall of Marvin the hit man, in the bar the same night Wally asked for an extension on his loan. They go to Marvin’s house where they find a silenced pistol – the evidence Clive needs – but Liv also has a vision of the hit and run that killed; it was deliberate murder. Of course, Peyton isn’t happy with her case completely destroyed. Peyton is outraged that have months of complete apathy, this is what finally encourages Liv to wake up – of course Liv doesn’t handle this well with her emotionless brain. Liv thoroughly hates herself for it because she can’t even make herself care. Avi points out she could eat another brain but, if she did so she would lose the visions and not be able to find the murderer. Liv, again, sees the logical ethics while feeling nothing. Back to the hit and run and things get confusing – the guy who bought the car to run Marvin over was also a major investor in Wally’s (the man Marvin shot) company who is paying a huge reward to anyone who brought forward evidence of who killed Wally. This guy needs his brain eating though his smugness may be worse than the sociopathy. Liv also goes with Ravi for their Marcy research – her chilling voice over fully prepared to destroy Marcy if necessary. 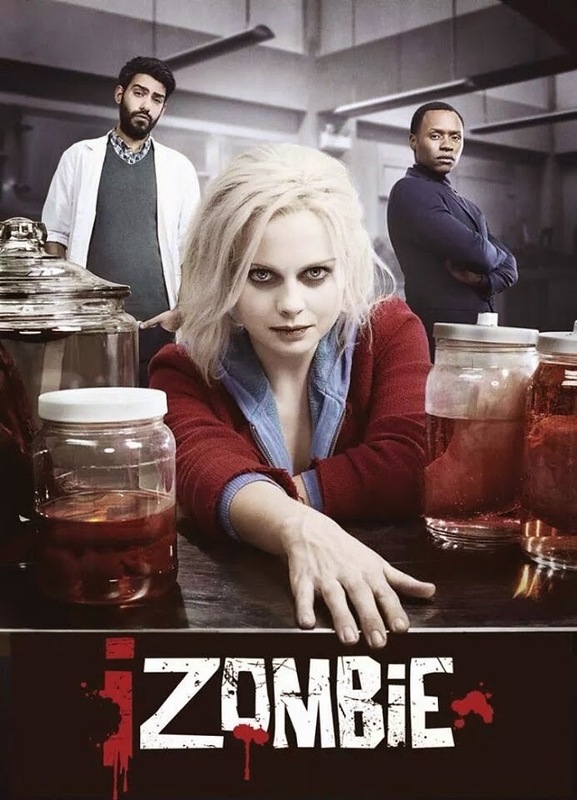 Marcy is still a zombie and Liv says, simply “we have to kill it” even while Ravi corrects her “it” to “her.” Liv looks for a big rock while Ravi, horrified, recites the Hippocratic oath to her. Ravi falls in the hole trying to sedate Marcy and Liv watches, curious as he screams and fights to escape the zombie. It’s pretty chilling. She eventually comes to her senses, looks completely horrified before leaping in to wrestle with Marcy – and when Marcy grabs her neck, Liv goes Full-On-Zombie and beats Marcy to death. Ravi is now in a hole with another lethal zombie but she returns to her senses with Ravi’s calm reassurance. Liv is considerably more traumatised by the fact she almost let Ravi die than Ravi is – he focuses more on the fact that even high on sociopath brains she still saved him; the brains don’t entirely define her. There’s still a twist left – Marvin has nearly left Liv’s system but after what she did to Marcy she’s afraid of what it will be like to feel again. She resists and throws the brain away – because it’s cowardly and cruel to not give Marcy the respect of her emotions. While, at the same time, eating Marvin’s brains showed us the terrifying consequence of continuing to eat brains. Last episode showed us the power and joy of it, this episode went far the other way with some really terrifying (and excellently portrayed) possibilities. It’s a difficult choice to make. On top of that, Ravi, Liv and Clive really work well together (we still have an element of Liv replacing Clive’s detective skills but his detective skills aren’t completely non-existant). In all, I’m pretty happy.